vBulletin is a powerful, scalable and fully customizable forums and bulletin board package for your web site. vBulletin is written in the Web’s most popular scripting language, PHP, and is complemented with the most popular database server today, MySQL. vBulletin is the ideal community solution for all web sites – small, medium and large. vBulletin is easily scalable for when your bulletin board becomes popular. If your board outgrows traditional shared hosting solutions, GlowHost can easily port it to a semi-dedicated server, or even across multiple dedicated servers or cloud servers. GlowHost uses vBulletin for its own web hosting forum system. See the GlowHost forum in action for an example of what you can have on your own web site. Free vBulletin – Information, Terms and FAQ. This is THE BEST deal on the Web for vBulletin web hosting. We professionally install the system for a one-time fee of $75. That is a 50% savings on the price of installation if you buy installation services from vBulletin directly. GlowHost also will purchase a fully licensed version of the latest vBulletin forum software for your domain name. ($249 value!) we will even register your domain for free, register it in your name, and we will renew the domain for life so long as you remain a customer of GlowHost. On top of that, toss in ultra-reliable, professional vBulletin web hosting services as part of the deal, and you are looking at a winning package at a winning price. In order to take part in this offer, our installation service is required and you must purchase a qualified hosting package as described below. I already own a vBulletin License or am going to buy my license direct from vBulletin. If you own your vBulletin license you can host it on any hosting package that GlowHost offers with no additional monthly surcharge. vBulletin will run on every hosting plan offered by GlowHost without a problem. 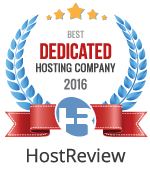 However, lower-end shared hosting plans may not be suitable if you have a popular or very active forum. I bought my license directly through vBulletin.com but I need help installing it, can you help? Sure! We offer a discounted vBulletin installation service if you need help installing the software. The fee is $75. The same service runs $150 if you buy it from vBulletin directly. I want to install vBulletin myself, what’s the fee for that? If you already own your license, and you wish to install vBulletin on your own, you certainly can do this and there are no fees for doing so. However, if you wish to receive a free vBulletin license from GlowHost, there is a $75 installation fee that we charge to ensure proper installation of the forum software. I want to buy some of the forum upgrades, can I do that at GlowHost? You will need to purchase any forum upgrades directly from vBulletin.com. After your order is placed, you will be provided with logins to the vBulletin site where you can manage your forum options, and obtain support directly from vBulletin. Which hosting packages must I purchase in order to take part in this offer? We provide a free vBulletin license and discounted installation services on our Professional Shared Hosting package, Semi-Dedicated or Reseller Hosting package with a 12, 24, or 36 month pre-pay. Can I add vBulletin Mobile Suite to my order? Yes, vBulletin connect can be added for a one-time fee of $150.00. Please contact our helpdesk after your order and we can have it added to your account. Can I receive support directly from vBulletin.com? Yes, support from vBulletin.com’s technical support is included with this offer.